The Airbus series of short-to-medium range airliners, derived from the classic A320, have made their mark on the airways of the world. 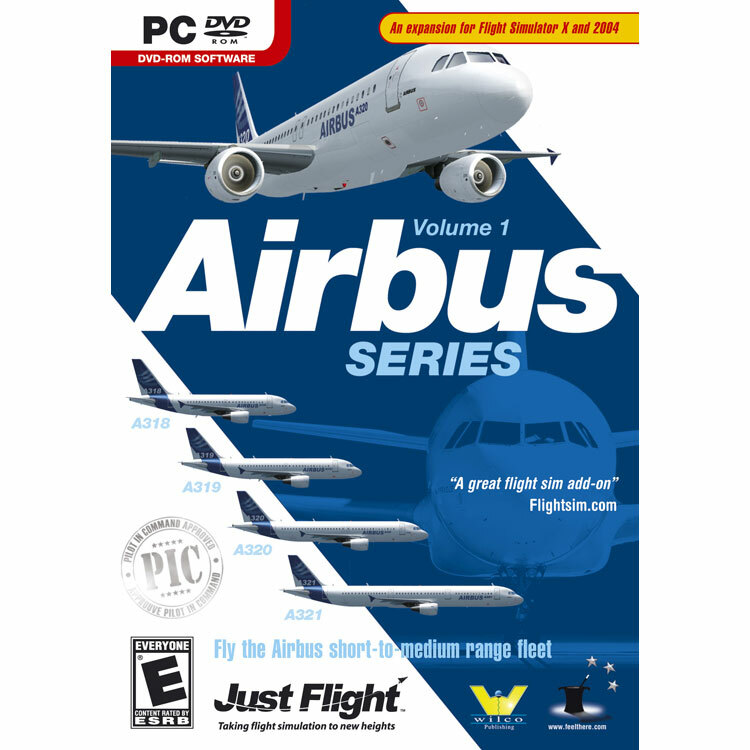 The A318, A319, A320 and A321 are operated by airlines across the globe and now the development team at feelThere/Wilco Publishing has accurately re-created these popular aircraft for Flight Simulator X and 2004. These fly-by-wire favourites, from the compact A318 to the spacious A321, have joined the Pilot In Command series, which guarantees the highest levels of accuracy from flight model and avionics to liveries and interiors. With different engine options, three levels of complexity and 39 detailed liveries, the Airbus Series is a clear choice for every virtual operator! Features Use an avionics suite that puts each aircraft in the top of its class FMGC, MCDU, IRS and FADEC are simulated and all the EFIS screens are available complete with system pages. Different levels of complexity can be selected Beginner, Intermediate or Expert. The A319, A320 and A321 come with a choice of engines between? CFM and IAE engines, with their specific sounds, displays and flight dynamics. Detailed interiors for economy and business classes with unique levels of detail that include seats, in-flight screens and catering. Printed manual comes with a brilliant Just Flight tutorial to help the virtual captain become a Pilot In Command!